This lovely and well cared for 3 bedroom / 1 bath home features open concept living with cozy living & dining areas off the kitchen. Featuring beautiful tile floors throughout, dual pane windows, ceiling fans, water softener and an interior laundry room. Slider doors invite you to the large covered patio aside the sprawling backyard with a custom storage shed. The front driveway has been expanded to accommodate additional parking alongside a grand front patio, while the wrought iron gate offers privacy. This clean and move in-ready home is a must see! 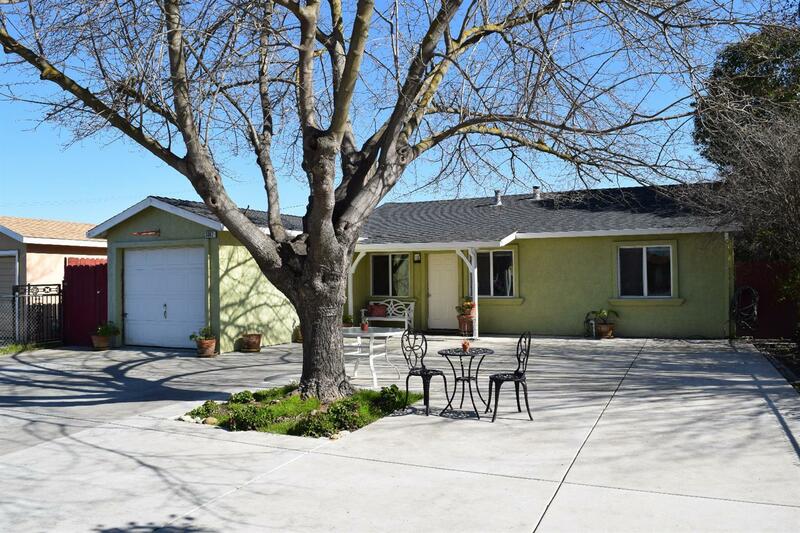 Great location for commuters with easy access to all freeways and the Stockton Metropolitan Airport!